By making students curators in creating an exhibit of David Labkovski's work, they learn the historical context in a meaningful way with a purpose. 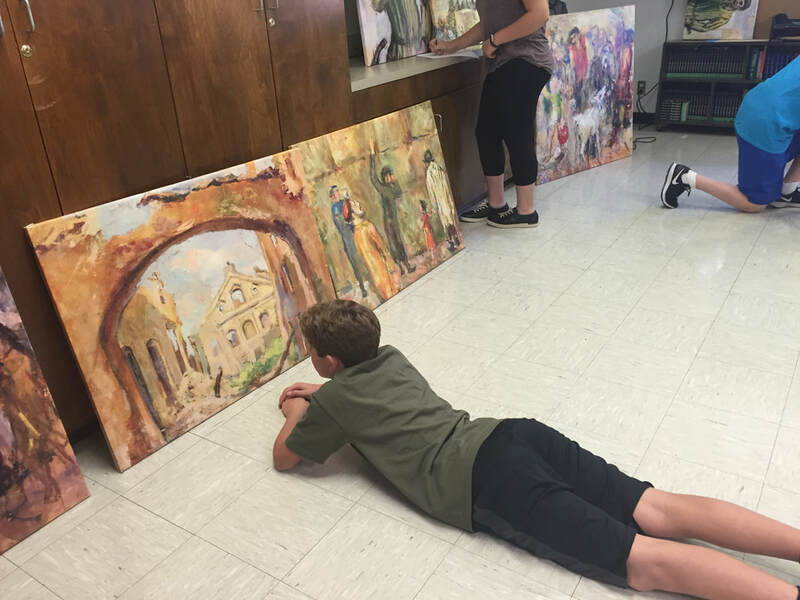 The artwork brings Holocaust History to the students in an accessible manner. Research has a real world application. Student curators become educators to their community. For schools in the Los Angeles area, our team can facilitate the project. 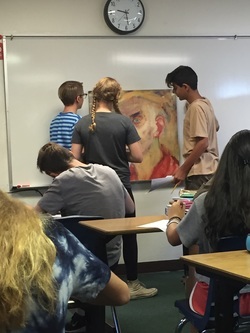 We work with the students to teach the skills needed to curate an exhibit of Labkovski's work. They study the history, write narrative text and creative commemorative poetry, and create artwork in Labkovski's style. In becoming docents for their community, students also gain experience with public speaking. For schools outside of Los Angeles, we are happy to work with educators to share our methodology and materials for a teacher led program. Ask us how your school can participate! Using professionally designed canvas prints, students become the curators and docents of an exhibit of David Labkovski's work. Contact us to hear more about how our program can work for you. We will work with your program of study to provide a curated exhibit with accompanying educational materials. Contact us to discuss all the possibilities.